We love getting our clients exclusive print coverage! 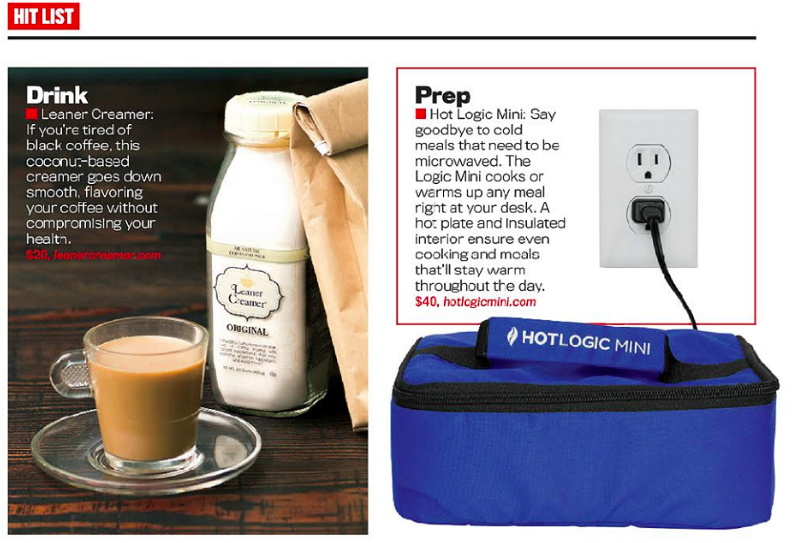 Congrats to Hot Logic for their October feature in Flex Magazine; now available on news stands! The Hot Logic uses low-slow conduction heat to bring foods to the ideal temperature and can hold it there for hours without overcooking or drying the food out! You can use any flat-bottom container made of glass, plastic, Tupperware, or metal as long as it had a sealed lid. Just pop a meal in the bag, plug it in and go work or play. Whether you’re ready to eat in a hour or 8 hours later, your food will be cooked (or reheated) to perfection; moist, juicy and better tasting than nearly any other form of cooking (especially a nasty microwave).